Wow! 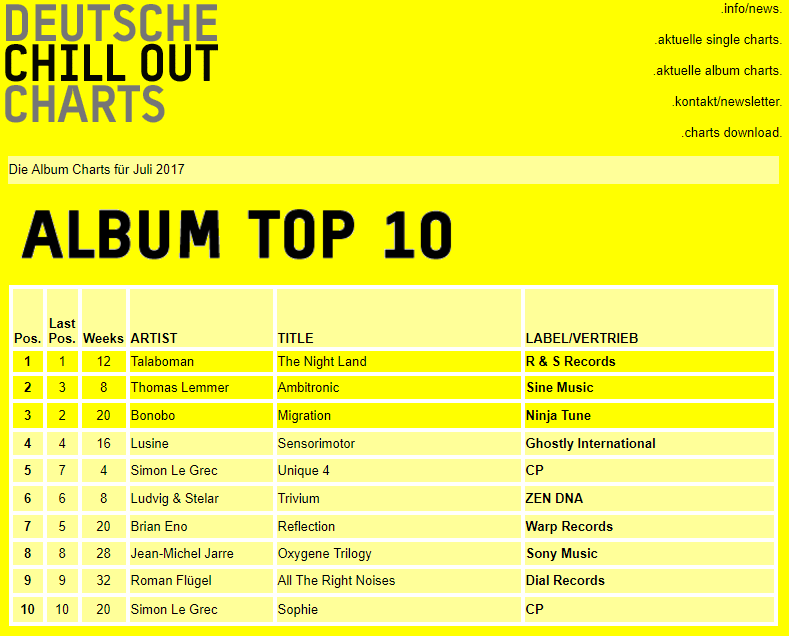 My album AMBITRONIC reached number 2 in the official German Chillout Charts in July 2017 (Deutsche Chill Out Charts). I’m more than grateful for this achievement. A huge THANK YOU to everyone who supported me and my music.